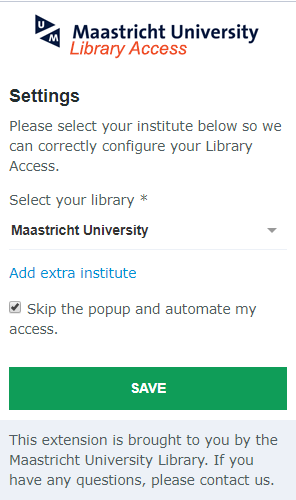 The Library Access extension provides quick and simple access to digital content purchased by Maastricht University Library. If you are off-campus or using wireless access, you may be prompted to log in with your UM-ID. When logged in, the extension icon in your browser toolbar will glow green if the library provides access. 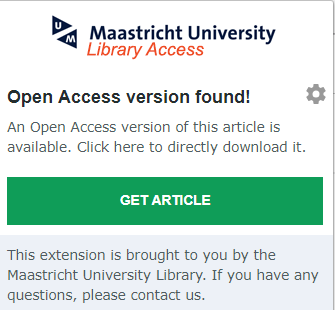 If the content you’d like to use doesn’t seem accessible, the extension will automatically check for open-access versions of the article and provide a link to the PDF. When you browse and search the internet for articles, journals or databases you may find content licensed by us. However, if you are not on campus or not connected to the campus network, the website you visit does not know and will not give you access to web pages or publications. Or worse, asks you to pay for access (paywall). 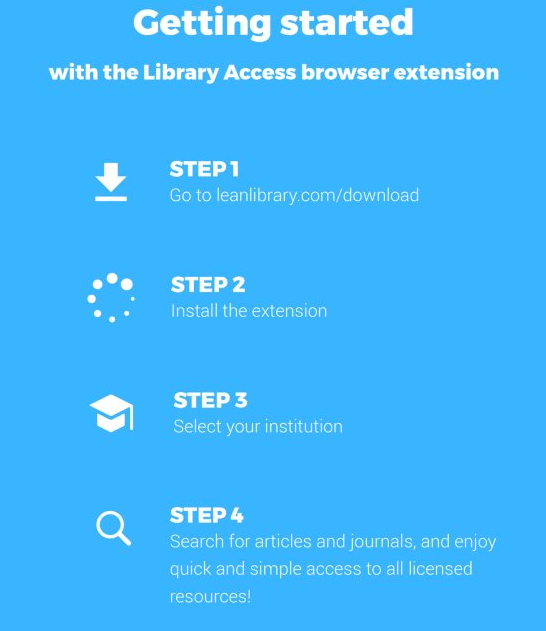 In these cases, the Library Access Browser Extension will automatically show you a notification and give you access to the licensed content offered by the library. 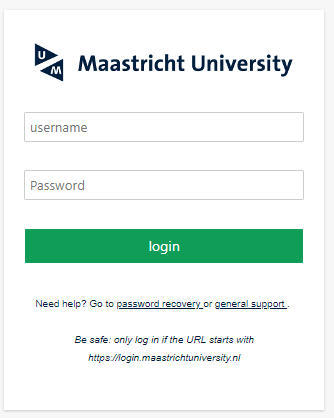 Quick access to digital content provided by Maastricht University Library. Spend less time searching for the PDF or other full-text information. 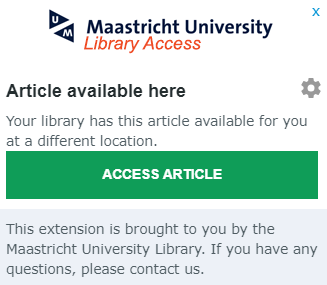 When you hit a paywall, or we do not have a license for the website you’re on, Library Access checks automatically for an alternative (licensed or open access) and will provide a link to the content. For selected web pages, we will display a support message to help you. 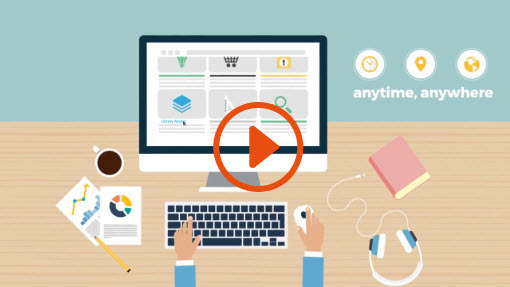 We also provide a link to quickly get in touch with our support team. First, you have to download and install/activate the browser extension. 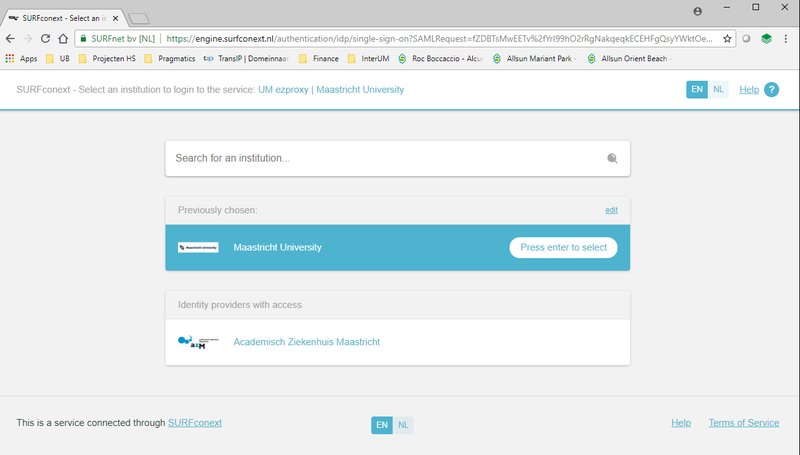 After installation, you select Maastricht University as your institution in the settings and use your Maastricht University login credentials to activate the extension. Choose “Skip the popup and automate my access” to save your connection so you only have to log in once during your session. 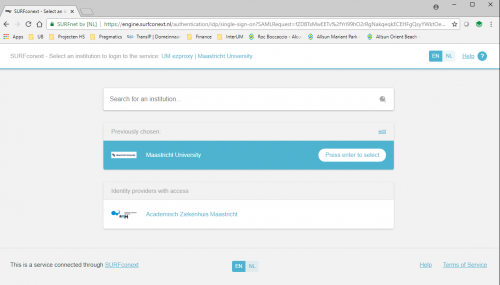 Once the browser extension is activated and you load a webpage from a source we subscribe to, you will be prompted with the single sign-on login screen you know from other UM online services when you are not connected to the University network. Choose your institution and log in. Your login will be kept active as long as your browser is open. If your browser extension is activated and you load a page for which we provide services or content, the Library Access icon turns green. This means that a website with a paywall for PDF downloads, like ScienceDirect, will show you download buttons instead as if you were on campus. Access Article will take you to our LibSearch page that provides access to the full text. Get Article will take you to a page where you can access the open access version of the full text. We will display an assist message when you’re on a page where this extra information can help you to make use of the services provided. We would like to hear your feedback about this tool. You can also use this form for support when having issues with the extension.